I’m still a kid at heart, so while I don’t have my own kids yet, I still make Popsicles for myself. But good news, for you and the kids! This one is 100% healthy because its 100% fruit! And it is probably the easiest recipe on planet earth. Juice each orange and filter out any seeds. Slice the banana into thick chunks and place them in the molds (I did about 25 slices, putting 5 slices in each mold). 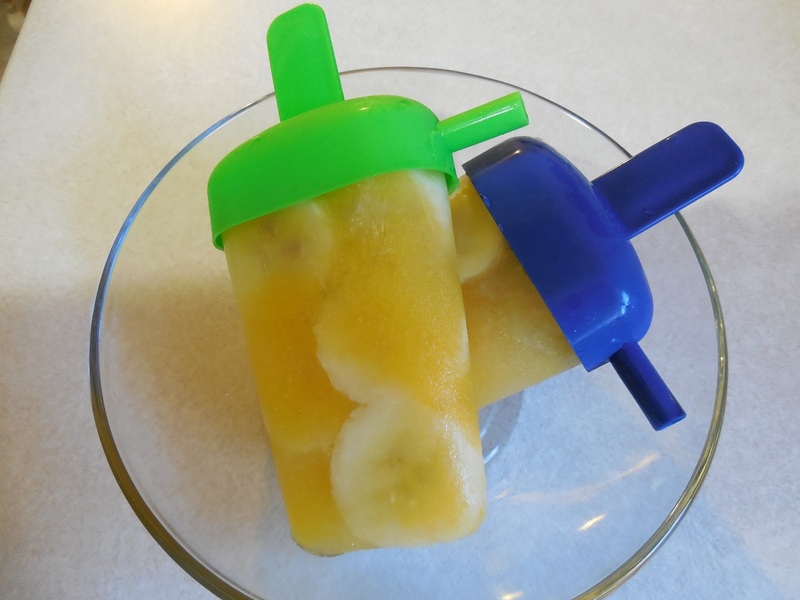 Pour the orange juice over the banana slices and freeze for 5 hours, or until the Fruitsicle is completely frozen. Run hot water over the mold until the Fruitsicle can be easily removed (without pulling the stick out).